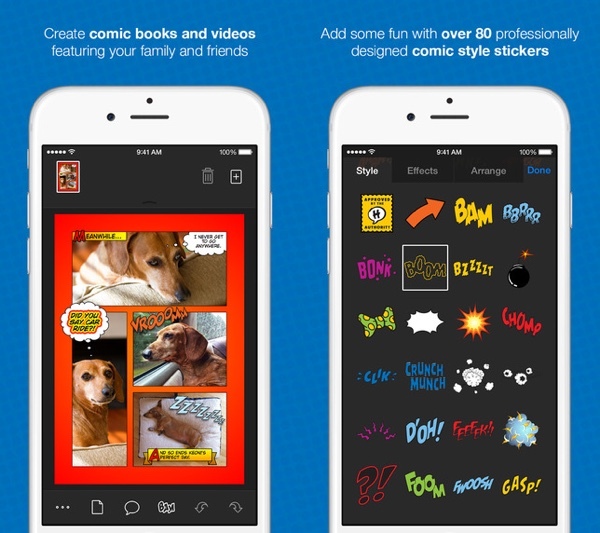 As part of Apple’s continuing trend of selecting one commercial third-party app to make free as the ‘App of the Week,’ the Cupertino giant has given the honor to ‘Halftone 2 – Comic Book Creator’ this week. The app has been on the App Store for quite some time and has already been named as one of the best apps of 2013 by Apple as well as being featured regularly as an App Store Editor’s Choice. Apple also featured the title as a showcase app to show off the screen of the iPhone 6 in Apple Retail Stores. If that level of love for the app wasn’t enough, it’s now sitting pride of place on the front page of the App Store. Halftone 2, which was previously selling rather well on the App Store for $1.99, exists to make it easy for iPhone and iPad owners to create stunning looking scrapbooks and comics from photos saved on their device. 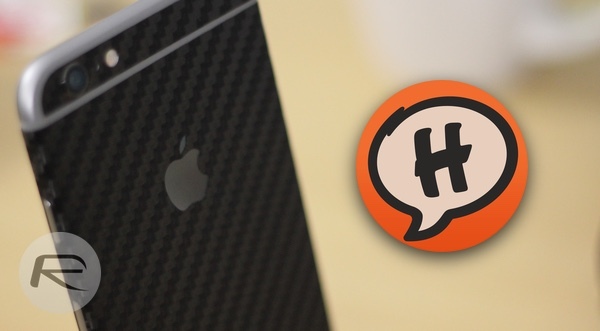 Although the second iteration of Halftone contains a lot of power and customization, the core functionality is extremely simple to get up and running with. 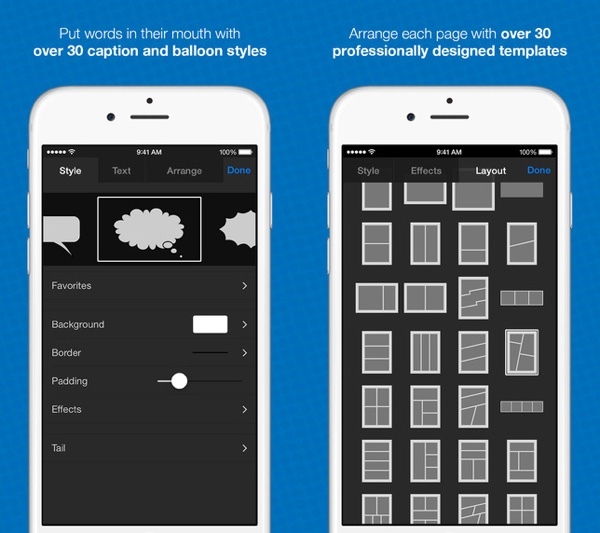 Choose a page layout, apply one or more filters to the chosen photos, position unique captions and mix with a few sound effects. Voila, you have your own comic featuring your very own set of images. After creating their masterpiece, users are presented with the ability to share the content via a plethora of social networks as either an image, a multi-page comic book document, or as a beautiful high-definiton video. So what exactly would an outlay of $1.99 get you before Halftone 2 went free? The app installs with over 30 different unique caption and balloon styles as well as a powerful 3D perspective feature that lets those balloons tilt and be moved around. There’s also a vast collection of stamps consisting of over 80 professionally designed graphical shapes, as well as optional in-app purchases to bring a new Action Pack jam packed of goodies. The whole Halftone 2 experience screams premium from start to finish, which makes this limited time ‘App of the Week’ offer such a great deal.